Next Post:Facebook re-imagines emoji by turning us into them! My work requires me to be updated with the Litigation activity every month. This is very helpful. Thanks. It’s like you’re on a mission to save me time and money! Thanks. The litigation activity is very nicely presented in the charts. I specially like the chart that shows the Favorite courts. This is amazing. 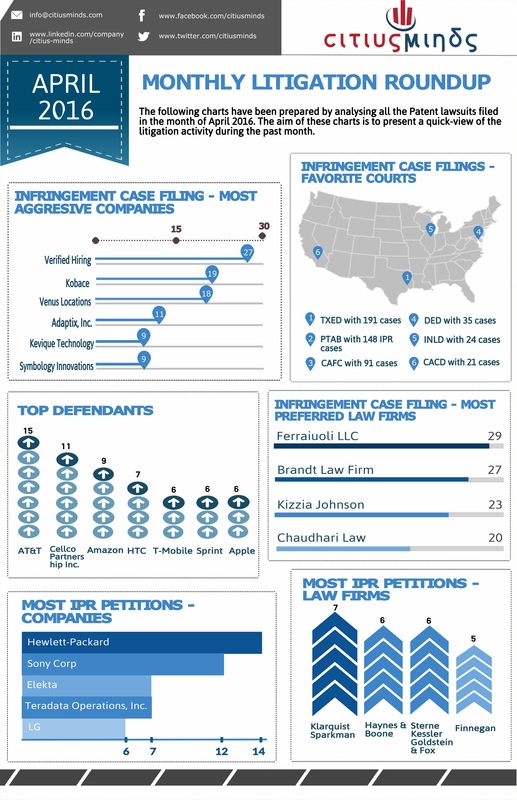 Litigation activity for the entire month can be easily understood by looking at this fantastic chart.